Évariste Galois – French mathematician and political activist. A French mathematician famous for his contributions to the part of higher algebra now known as group theory, Évariste Galois was born on October 25, 1811, in Bourg-la-Reine, France. While still in his teens, he was able to determine a necessary and sufficient condition for a polynomial to be solvable by radicals, thereby solving a problem standing for 350 years. 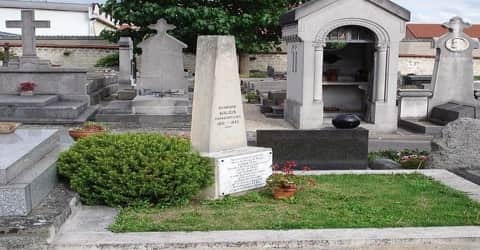 His work laid the foundations for Galois Theory and group theory, two major branches of abstract algebra, and the subfield of Galois connections. He died at age 20 from wounds suffered in a duel. His theory provided a solution to the long-standing question of determining when an algebraic equation can be solved by radicals (a solution containing square roots, cube roots, and so on but no trigonometry functions or other nonalgebraic functions). Possessing tremendous calibre and formidable brilliance, it is really unfortunate that Galois met his end at the young age of 20 in a duel. Known as a hopeless romantic, with a Republican political background, his work was often met with resistance and was never acclaimed until after his death. Some considered him simply a political agitator and many of his caretakers and professors failed to understand his acuity and considered many of his theories incomprehensible. Yet perseverance led him on; with determination, he proved the possibility of solving general quintic equations and polynomial equations of higher degree. His mastery in research and logical reasoning has consolidated his position in the field of mathematics. 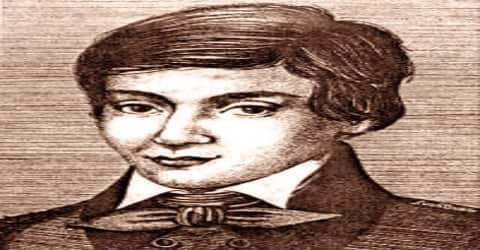 Évariste Galois (French: evaʁist ɡalwa), was born to Nicolas-Gabriel Galois and Adélaïde-Marie (née Demante) on 25 October 1811 in Bourg-la-Reine, French Empire. Both his parents were well educated and embraced liberal revolutionary principles. His father became mayor of the village after Louis XVIII returned to the throne in 1814. His mother, the daughter of a jurist, was a fluent reader of Latin and classical literature and was responsible for her son’s education for his first twelve years. 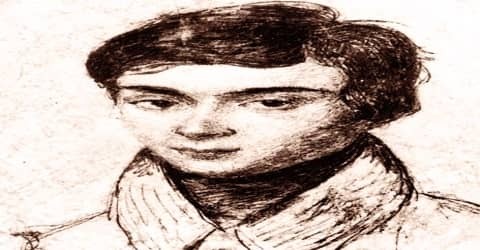 In October 1823, Galois entered the Lycée Louis-le-Grand, At the age of 14, he began to take a serious interest in mathematics. He studied Adrien-Marie Legendre’s works on geometry and ‘Joseph-Louis Lagrange’s writings on algebra as if he were “reading a novel” and mastered the content promptly. As a result of his inclination towards research, his class performance began to dip steadily. Galois was gifted with the ability to carry out the most difficult mathematical calculations almost entirely in his head. This created resentment in his teachers and classmates. They often couldn’t decipher his solutions and demanded a further explanation on details leaving him exasperated. In 1828, Galois tried to pursue his vision of studying at the most reputed university of Paris and thus he took the examination of the ‘ÉcolePolytechnique’ but failed to clear it. The same year, he entered ‘ÉcoleNormale’, which was a compromise for him as it did not bear the same honor as the prior university. Évariste Galois was challenged to a duel where he was shot in his abdomen on 30 May 1832. The practice of settling disputes by duels was very common these days in France. He died of his injuries the next day. There are various theories about why the duel was called and why Galois accepted the duel. Some beliefs point to a State secret agent who called the duel between fellow Republicans. 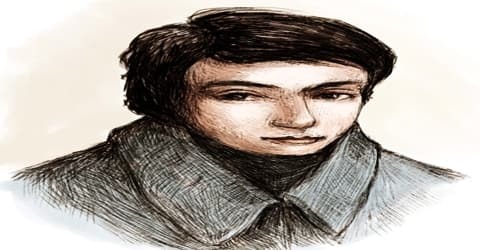 Another theory states that Galois was romantically involved with his physician’s daughter, Mademoiselle Poterin du Motel, and it was at her instigation that he challenged someone for a duel and as a result was killed. In 1829, Évariste Galois published his first paper on ‘Continued Fractions.’ It was around the same that he was researching on the ‘Theory of Polynomial Equations.’ He submitted two papers on the latter, one on 25th May and the other on the 1st June to ‘Académie des Sciences’. A renowned mathematician of Académie des Sciences, Augustin Louis Cauchy reviewed his paper but refused to publish it for unknown reasons that many believe was a result of his jealousy. However, contrary to most beliefs, Cauchy simply suggested that Galois combine both papers to make it a more comprehensive theory so that it could be entered into the competition for the ‘Academy’s Grand Prize in Mathematics’. Galois submitted his own memoir on the equation theory a few times, but it was never published. Despite this, Galois published three papers in 1830. The first of these papers laid foundations for the Galois Theory while the second was about the numerical resolution of the equations and the third was about number theory. While many other mathematicians before Galois had already given consideration to what we know as groups, Galois was the very first person to use the term group in the technical sense. This made him famous among the founders of a branch of algebra called “group theory.” He also developed a concept that is now known as a normal subgroup. Evariste Galois also introduced the idea of the finite field, also called the Galois field. With anguish, Evariste Galois tried his last attempt at the entrance examinations of ‘École Polytechnique’ since a pupil could not attempt these examinations more than twice. Unfortunately, he failed yet again. An account of the incident that led to his rejection points to the fact that one part of the examination was an oral test where pupils were quizzed by two professors of the institution. But Galois’s habit of working entirely in his head put him out of balance when he had to solve a mathematical problem on the blackboard. During the oral exam, one of the professors argued with Galois on his reasoning. The professor was stubborn and contradicted his own reasoning, but refused to agree with Galois’s explanation. This led to deep resentment and so in a rage, the boy threw the board eraser at the professor. Galois got involved in politics and this led to his expulsion from Ecole Normale. In 1831, Galois quit school and joined the artillery unit of National Guard. He divided his time between mathematics and politics. In the same year, Galois was heading a protest, wearing a uniform of the disabled artillery. He was heavily armed with pistols, a dagger, and a rifle. He was arrested for the second time. He was sentenced to six months in prison for the crime of wearing a uniform illegally. He spent his time in prison developing mathematical ideas and after nine and a half months, he was released. Fatherless and with no stipend, Galois faced financial crisis owing to the ‘Revolution’. In order to sustain himself, he put up a notice in front of a grocery shop opposite the ‘Normale’, announcing a private class in higher algebra that would be conducted once every week. Initially, some students joined, but quickly found the subject way over their understanding, and therefore stopped attending his classes. Meeting retribution at every junction, he devoted all his time to revolutionary politics and writing mathematical memoirs on higher algebra. In 1831 Galois presented his memoir on the theory of equations for the third time to the Academy. This time it was returned but with a negative report. The judges, who included Siméon-Denis Poisson, did not understand what Galois had written and (incorrectly) believed that it contained a significant error. They had been quite unable to accept Galois’s original ideas and revolutionary mathematical methods. Several of his papers were rejected on the basis of obscurity. Realizing that Galois wouldn’t be able to publish a paper if he did not take it upon himself, he requested his friend Auguste Chevalier to help him and thus he published three papers with his assistance. The night before the fatal duel, he put his collective pieces together and developed evidence for a few more theories. He filled up the blank spaces in the papers that were rejected and provided concrete evidence to solutions that lay incomplete for years. Galois wrote a letter to Auguste Chevalier, leaving his work for him to publish. In the 60 odd pages of Galois’ collected works are many important ideas that relate to nearly all branches of mathematics. Évariste Galois didn’t receive any medical attention for many hours after he was shot; he could have been saved had medical aid arrived on time. Since he received no medical attention, he died a very slow and painful death. On 2 June, Galois was buried in a common grave of the Montparnasse Cemetery whose exact location is unknown. In the cemetery of his native town Bourg-la-Reine a cenotaph in his honor was erected beside the graves of his relatives. The circumstances that led to Galois’s death in a duel in Paris are not altogether clear, but recent scholarship suggests that it was at his own insistence that the duel was staged and fought to look like a police ambush. In any case, anticipating his death the night before the duel, Galois hastily wrote a scientific last testament addressed to his friend Auguste Chevalier in which he summarized his work and included some new theorems and conjectures. In 1843 Liouville reviewed his manuscript and declared it sound. It was finally published in the October-November 1846 issue of the Journal de Mathématiques Pures et Appliquées. The most famous contribution of this manuscript was a novel proof that there is no quintic formula that is, that fifth and higher degree equations are not generally solvable by radicals. Although Abel had already proved the impossibility of a “quintic formula” by radicals in 1824 and Ruffini had published a solution in 1799 that turned out to be flawed, Galois’ methods led to deeper research in what is now called Galois Theory. For example, one can use it to determine, for any polynomial equation, whether it has a solution by radicals.